Gor Mahia secretary general Ben Omondi confirmed on his social media pages that all salaries for the month of August have been settled. Omondi thanked Sportpesa for coming to the club’s aid. According to Omondi, Sportpesa has already paid the club all the money due in 2018. Which would leave fans wondering where money for September salary will come from. The chairman will today Monday 24, September 2018 have a session with the media to address all the issues that have been happening at Gor Mahia in the last few weeks at 680 Hotel, Nairobi from 11:00 am. Kindly send a crew to cover the event. 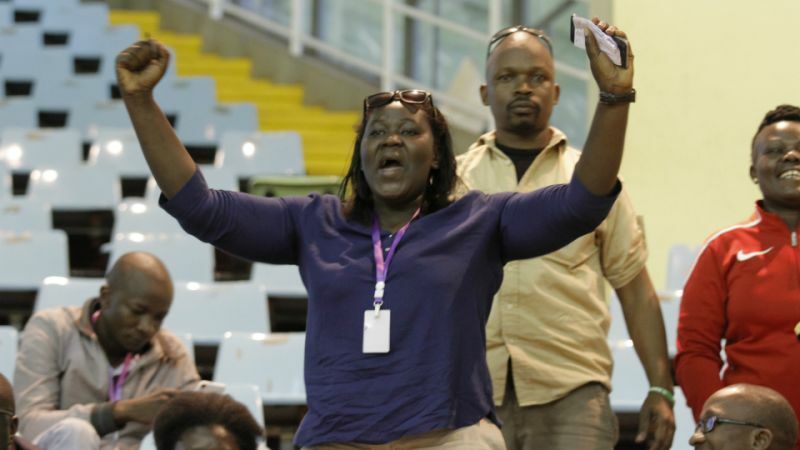 Earlier on Sunday, Gor Mahia organizing secretary Judith Nyangi took to suggest that there were other people who were colluding to defraud the club of Ksh 10,000 via sale of fake tickets. “Nimeshika Mwizi” said Judith Nyangi on social media. Fans concluded that Sally Bolo was the culprit. I would like to take this opportunity to let fans and stakeholders know what exactly transpired on Saturday during our match against Vihiga United FC. At about 2 pm, Judith Nyangi, club’s OS came where I was and said she caught someone selling the “fake” ticket and I asked her to check if he had a VIP ticket signed at the back. This was confirmed and I admitted giving him one ticket to regain entry into the stadium because he worked for us in the morning. I later asked OS to ask the boy where he found the terraces ticket from and the boy admitted in our presence that he got tempted and stole the tickets when they were stamping the tickets. As we continued to interrogate the boy, some men came and asked us (OS and I) to take things slow since the boy is manager’s son. Where I come from, once you have been told “ma en wuod ng’ane ka ng’ane” then you take things easy and solve amicably. I told OS to give us the tickets numbers so we could use them during the reconciliation to determine what booklet was stolen and the County to bear the cost since they were the ones who brought the two boys but instead, she walked away and started saying that she found jakuo. As usual I walked away because I couldn’t stand how she reacted. During the reconciliation time, we checked on the wall where she posted the tickets to enable us identify the stolen booklet, this was also verified. After investigating with both Timam, county reps and I, it was found that county was liable since the boys worked on their behalf and we deducted Kshs. 10,000/- from their percentage. This matter was therefore resolved amicably and the club was able to recover the money. 1. If am the one who brought the tickets to Kisumu, why would I take them for recording then steal it? If I was a thief as it has been brought to your attention, I would have hidden some booklets and sell without declaring it to all parties concerned. 2. I signed those VIP complementary tickets for security purposes and all parties involved knew about my signature. Why would I give out a document signed by myself to someone to sell knowing that s/he might be caught? Which thief would do that? 3. I met these boys for the first time. How desperate would I be kupiga deal people I hardly knew? Finally, guys let’s be real and analyse situation before we start calling people’s names? Defamation is a crime. Time will tell and for those who know me well will tell you that being strict in the line of my duty is the course of all these untrue stories. Anyway, I will not be shaken and as I’ve always said, whoever has the evidence that I stole should come with facts and evidence to prove otherwise. In a lengthy post in her social media, Gor Mahia’s organizing secretary Judith Nyangi has accused treasurer Sally Bolo of missapropriating and misusing funds. Dear Kogalo diehards,when you elected me you trusted and believed in me and that’s why I got the most votes.As the Ogoi matron I used to put things on the table and would at times tell the chairman point blank when there was a problem. You elected me to streamline and expose any rot .The treasurer had been misusing club money the way she wants.In our last EC meeting we resolved that after our home match no payments will be made at the stadium until after the cash is banked and payments approved by EC but as you can see the same trend was repeated.You saw in form 34A the same abnormalities. Secondly she has been colluding with this other cartel called Aduda to deduct player’s cash without the knowledge of the EC.Mike Simiyu was paid 15k less last month and repeatedly this month. The chairman ordered the treasurer to immediately pay the boy his full arrears which up to now nothing has been done. As the organising secretary ,my work on the match day is to attend prematch and organise everything from police,stewards public address ambulance ballboys etc.This doesn’t happen am always told by Sally eti Aduda has done. On our last match,I was to be in kisumu by Friday to hype the match thru roadshow and radio stations passed by EC.On that Friday is when i received 10k from Sally. I arrived in kisumu Friday 9pm.While in kisumu everything had been arranged by the above cartels,mine was to enter the stadia Russia area and enjoy my boys play. When I asked for money for roadshow sally told me that the money is normally sent to Harvey Mangla is this true and when did you take my position? Money is being misused left right and center until now players have not been paid several training allowances plus winning bonuses and as a result yesterday there was no training. As you can remember during our sofapaka match in meru.It was passed by the EC that I travel a day before and do hotel arrangements for the team.While I was there,Sally insisted that there was a hotel she had settled on.Kumbe this other big cartel Moses Libamba was in the deal. The hotel was exactly like Sabina joy with a bar down and rooms upstairs and plenty of malightskin.I disqualified the hotel and settled on another one.When the players arrived in Meru the driver was directed to take the players to the Sabina joy.The players refused to sleep there and were transferred to the hotel I chose at 10pm.Somebody can do anything at the expense of players to make money. What followed? Tulinyeshewa mabao kwelikweli! On the issue of form 34A and Bonface Osano brought forward alikubali and the club will pay Kariobangi sharks 59k. She has been colluding with the other cartel (sic) to deduct the player’s cash (salaries) without the knowledge of the Executive Committee. Mike Simiyu was paid Sh15,000 less last month and repeatedly this month. The chairman ordered the treasurer to immediately pay the boy’s full arrears which up to know hasn’t been done. 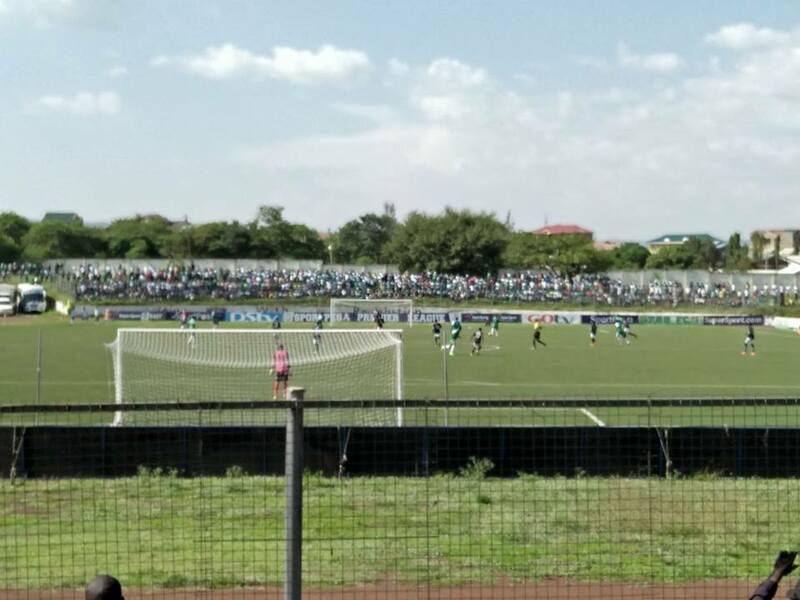 Meanwhile reports from Gor Mahia camp suggest that the players are on a go slow due to unpaid training allowances. Many players did not show up for training this week. Aside from that, the club has yet to settle the arrears owed to Camp Toyoyo. And a few weeks back, Kariobangi Sharks accused Gor Mahia of under-stating the gate collection figures. 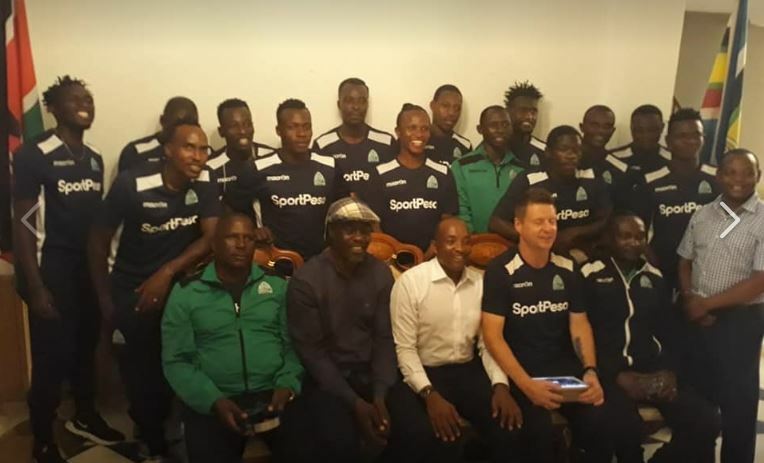 Gor Mahia coach Dylan Kerr has pleaded with the club’s management “to respect the players” ahead of Thursday afternoon’s SportPesa Premier League match against Chemelil Sugar in Kisumu. The Englishman spoke on Wednesday moments after his players refused to train in protest over delayed payment of match winning bonuses and training allowances going back five matches. 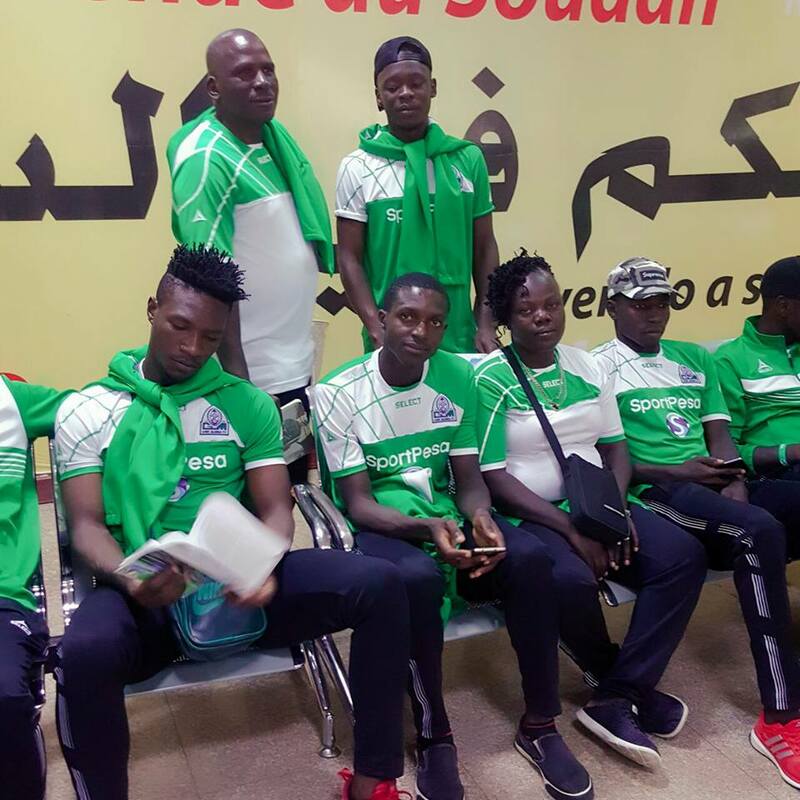 The stand-off between players and the club’s management comes just a week after the team was locked out of their Camp Toyoyo training base in Nairobi for failing to pay for using the facility. “These off-the-pitch issues have nothing to do with me. All I can do is urge the players to respect the club and the club to do likewise,” Kerr said. Club chairman Ambrose Rachier said Gor is facing financial challenges occasioned by unavailability of stadiums in Nairobi, and the abrupt withdrawal of Castle Lager and SuperSport as the club’s sponsors and league’s broadcast sponsor earlier this year. He denied reports of go-slow at the team camp. “Our grants from KPL have reduced by half after SportPesa pulled out, and gate collection has reduced by upto 80 per cent as we play all our matches outside Nairobi,” he said. The Nyayo and Kasarani stadiums in the capital have been shut down for government commissioned renovations in readiness for next year’s Africa Nations Championship football tournament. So is the City stadium, which was banned by football authorities from hosting league assignments owing to its dilapidated state. Immediately after the figures were announced, organizing secretary Judith Nyangi disputed the figures, stating that the number was too low. “I was expecting a considerable amount. However, to my shock a figure of 600,000 was announced. What happened in Kisumu was not right. The club should not collect that kind of money in Kisumu considering the attendance that was witnessed in that match. Kisumu was full. The Club should collect a minimum of two million shillings in Kisumu.” she said to Kenyanstar. Nyangi further went on to fault the manner in which tickets are printed and also revisited the issue of stewards. Earlier this year, Nyangi had fired all the existing stewards while claiming that hiring of stewards was in her docket as Organizing secretary. This resulted in a fracas at the club’s office when the fired stewards stormed the office raining blows on certain officials. She further explained the issue in a post on her social media pages. Nyangi, then laid blame on a section of the club’s management saying that the match logistics in Kisumu were a ‘one-man show’. “The office of the treasurer cannot handle everything. I was surprised when I was told to keep off all matters that pertained logistics ahead of the match. I wished to travel early but I was not facilitated. I only traveled with the team, was part of the pre-match briefing and returned with them. Everything else that happened, went on behind my back. We gave them space to handle and wished them well, but what happened was a disappointment” Nyangi continued to Kenyanstar. Nyangi then challenged the club Chairman Ambrose Rachier to call a meeting in order to resolve these urgent issues. “If we had worked together, these loopholes that are being referred to would have been sealed early meeting. I am not trying to shift blame, but this is probably a pointer that the chairman should summon the entire committee, bring us together and have each team member assigned very clear roles,” she added. Gor Mahia skipper Musa Mohamed has credited coach Ze Maria for the success the team has achieved thus far. He also noted that having a full pre-season with the coach has enabled the team to adapt better to the coach’s tactics.